We’ve seen the future of retail – and it’s fast, intelligent, and connected. In fact, the world’s smartest retailers are already there, and showing the competition every single day how powerful their customer experiences can be. The rise of high-speed internet, mobile connectivity, and ecommerce has had an irreversible impact on traditional ‘bricks and mortar’ retailers. For a time, a ‘bricks and clicks’ model emerged, helping retailers supplement in-store experiences with a vital online offshoot. 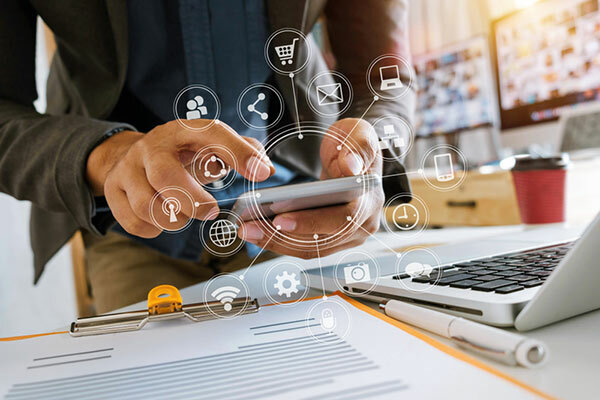 But as customers grow to expect connected, seamless, and personalised experiences both online and off, the siloed nature of ‘bricks and clicks’ is simply failing to deliver. Inevitably a new model is fast-emerging to fill the gap – quite literally – left by bricks and clicks: Unified Retail. Unified retail takes the best of online and offline shopping, blending them for a seamless journey that delivers the same powerful, connected experiences wherever the consumer chooses to shop. With bricks and clicks, there is no interplay between the online and offline sides of the business. And, as we touched upon in How Unified Retailers Are Connecting In-Store and Online Experiences, this can lead to some truly ugly marketing mistakes. As vital as system convergence and a complete, single view of the customer are, it still takes AI to enable some of the most ground-breaking unified retail experiences. Say, perchance, a customer was strolling through their local shopping centre. They pass their favourite shoe shop; the very shop whose website they were browsing only that morning. They notice a rumble in their jacket pocket. They’ve been picked up by the shop’s in-store beacons and pinged an exclusive 25% off on the brogues that caught their eye in its monthly e-newsletter. How can they say no to such a timely and personalised offer? This is exactly how Aldo Group uses customer data and AI to target customers with powerful, tailored experiences, and empower its in-store staff to spend more time building brand loyalty, 1-on-1. On the other side of the pond, home furnishings retailer Room & Board has also created a seamless blend of the physical and digital retail experience. And like Aldo, Room & Board recognises the importance of creating experiences that mirror their customers and their individual behaviours, histories and preferences. Whether it’s simplifying complex tasks or sending smart and timely customer messaging to get people in-store – AI is quietly helping bridge the physical and digital divide to make unified retail a reality. But AI is only one small cog in the unified retail machine. Check out our interactive page to dive into the nuts and bolts of unified retail – from why it’s happening now, to how to do it right.